Clark D. Cunningham, professor of law and the inaugural holder of the W. Lee Burge Chair in Law & Ethics, is the director of the National Institute for Teaching Ethics & Professionalism, a consortium of ethics centers at six universities, and the co-editor of the International Forum on Teaching Legal Ethics & Professionalism. He is one of the world’s leading experts on teaching legal ethics and on reform in legal education. He designed and teaches two innovative courses that provide an accelerated transition to practice by teaching fundamental knowledge, skills and values needed to begin a legal career in a wide variety of settings: Fundamentals of Law Practice and Transition to Practice. In both courses, students appear in Superior Court representing domestic violence victims in civil protection order proceedings and do fieldwork with a private attorney working in a practice area of interest to them. He also teaches The Client Relationship, which satisfies the professional responsibility requirement. Cunningham has published more than 40 articles and book chapters, often drawing on interdisciplinary and comparative perspectives. His article in the Iowa Law Review, applying semantics to analyze the ways the meaning of “search” has evolved in U.S. constitutional law, won the national Scholarly Papers Competition sponsored by the Association of American Law Schools. “Plain Meaning and Hard Cases,” published in the Yale Law Journal and co-written with three linguists, was cited by the Supreme Court in deciding several cases analyzed in the article and has been described by Justice Ruth Ginsburg as the kind of scholarship judges value. He has also published in the Harvard Law Review, Cornell Law Review, Georgetown Law Journal and Michigan Law Review (1999 and 1989). Cunningham is a member of the advisory board for the Academic and Professional Development Committee of the International Bar Association, having previously served as vice chair (research) for a two-year term. He is a founder and former convenor of the Global Alliance for Justice Education, an international organization of more than 700 law teachers, lawyers and leaders of nongovernmental organizations from more than 50 countries. He is a member of the Chief Justice of Georgia’s Commission on Professionalism, served on the Fulton County Criminal Justice Blue Ribbon Commission and was co-reporter to Georgia’s Commission on Indigent Defense. 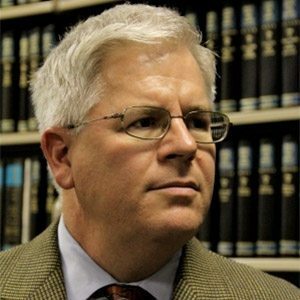 He has served as an expert on legal ethics in a number of major cases and has been appointed as a special master by the Georgia Supreme Court to adjudicate lawyer discipline cases. Cunningham has been an activist for social justice his entire career, beginning in 1975 as a community organizer in one of the poorest neighborhoods of Detroit, where he continued to live and work until 1987. After a career as a legal aid and civil rights lawyer, he began full time teaching at the University of Michigan Law School in 1987. From 1989-2002, Cunningham taught at Washington University in St. Louis, where he directed the Urban Law Clinic and the Criminal Justice Clinic. He has litigated a number of federal class action law suits, argued before the Missouri Supreme Court and the U.S. Court of Appeals for the Sixth Circuit, and written friend-of-the-court briefs filed in the Michigan Supreme Court and the U.S. Supreme Court.